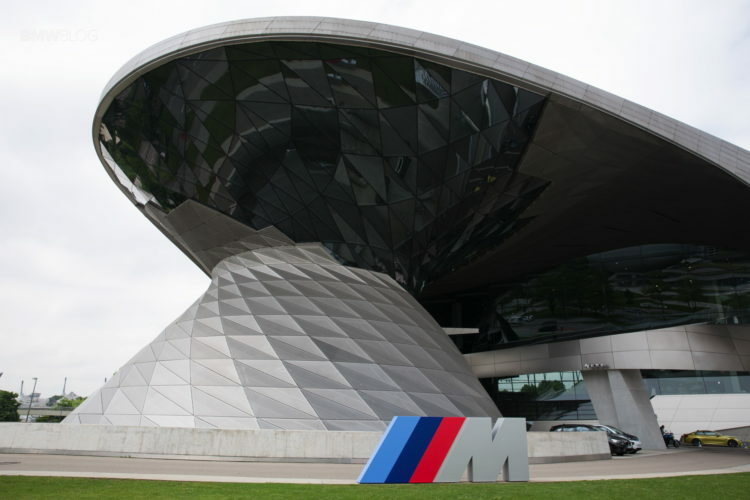 The BMW Welt is far more than just a delivery center for BMW’s European delivery program. The Welt is an incredible experience for anyone who wishes to take part in it. 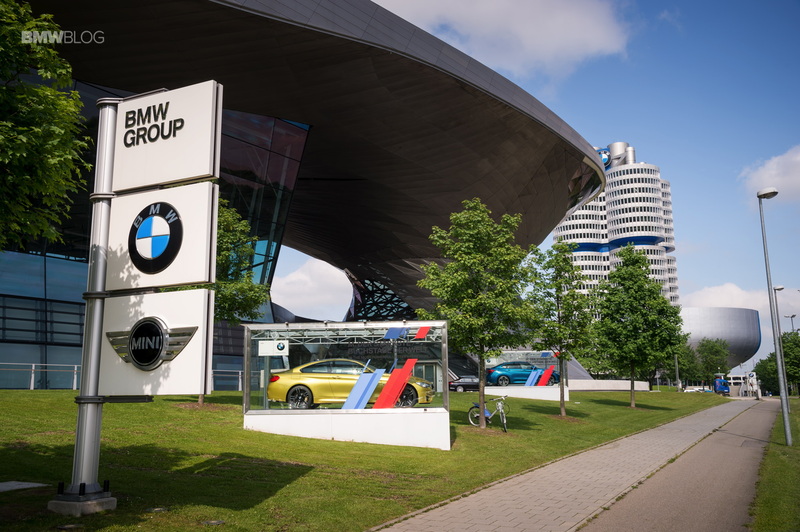 Located next to BMW’s famous “four-cylinder” headquarters, the BMW Welt is a massive modern art-looking building that houses BMW’s delivery center as well as a museum, several restaurants and much more. BMW Group invites anyone who wishes to see the Welt to come in and explore its activities. In fact, the Welt is the most visited tourist attraction in Bavaria since it opened in 2007, with over 20 million visitors in that time. There are many different kinds of visitors to the Welt. First, there are the customers picking up their cars from their European Delivery program. Then there are the tourists who are coming in to see the Welt and its impressive design or enthusiasts looking to check out the awesome BMWs that lie inside. There’s also the family that wants to do a little bit of both and also grab some great food. So the Welt is much more than just a delivery center, it’s an entire experience. There’s so much to see at the BMW Welt that it should be mandatory for all car enthusiasts, but it’s even great for non-enthusiasts, as well. 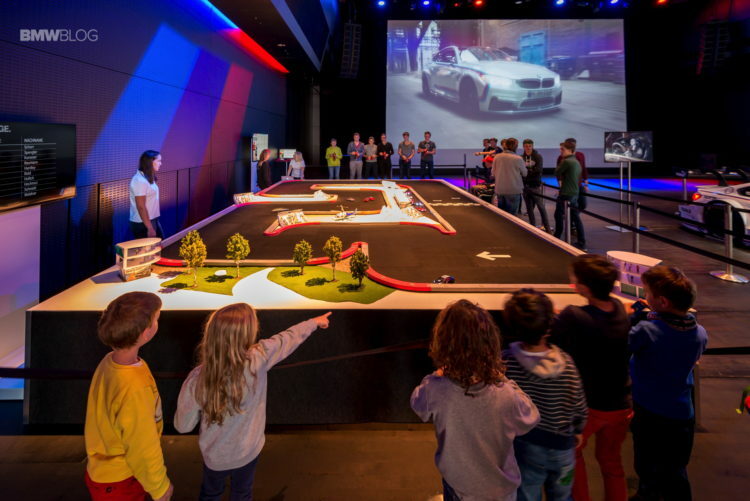 The Welt houses a Junior Program with a Junior Campus that has workshops and laboratories for kids to learn about technology and mobility so that they might have a future in the automotive world. There’s even a Junior TUV (the German governing body that certifies cars) program for children, where children wear little TUV engineer outfits and get to inspect toy cars, which makes for great family photos. Even children’s birthday parties can be held at the Welt. There’s also an Event Forum, which allows for different events, seminars and press conferences to be had for a variety of different reasons, not just BMW related. Even Cold Play played there. There’s also the Double Cone, which is an impressive piece of architecture and lighting where gala receptions, dinners and private exhibitions can take place. The Welt houses many other areas that can be used for events, dinners or anything else. But what we really want to talk about is the cars. Yes, on top of all of the extras that lie inside of the Welt, it’s still about the BMW Group and its amazing cars. 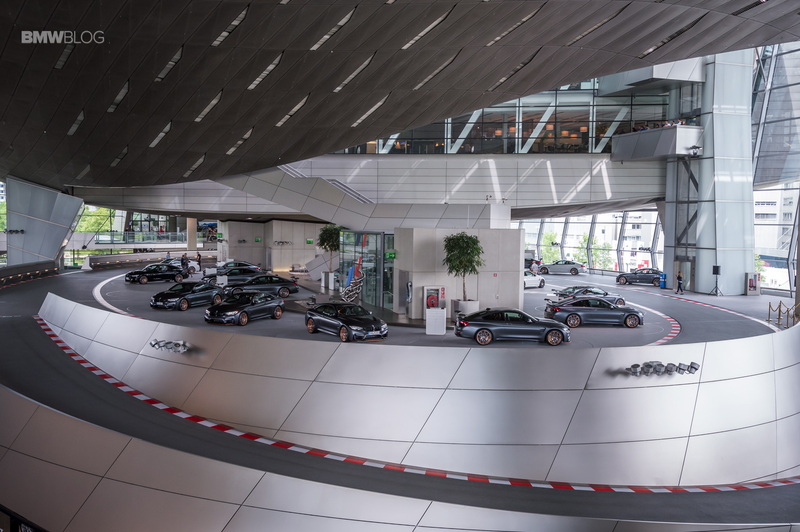 Cars from the BMW brand, including the M and i brands, take up the entire length of the building, from the north to south entrance and are aligned dynamically, in a similar state to how people would see them on the street. Informational columns stand next to the vehicles and display all of the tech info anyone would need to know about each car. There are also experts on hand to explain any information that might not be on display or answer any questions. The BMW i Experience at the Welt shows visitors the future of electric mobility and BMW’s i Division. It demonstrates how home charging works, as well as both energy recovery and deployment. It also shows visitors how connectivity can improve the state of electric mobility. But it wouldn’t be a proper BMW exhibit without having BMW M being the main attraction. 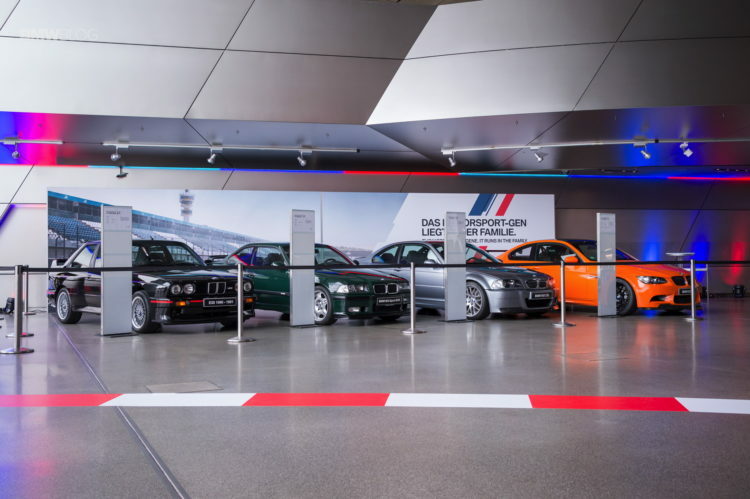 In the center of the Welt stands a collection of BMW M cars, set up in a grid formation. Here, visitors get to learn about the history of BMW’s M Division as well as the technical expertise that goes into developing M cars. 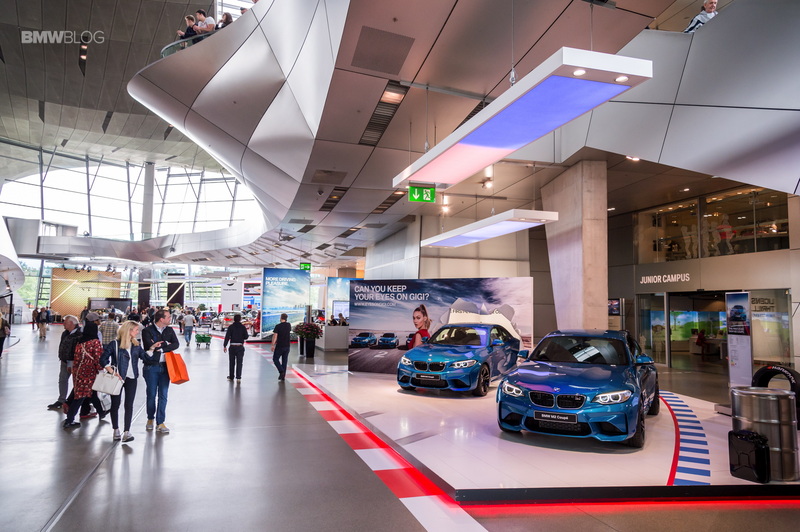 The engine technology, chassis technology and aerodynamic technology are all on display at the BMW M exhibit. There’s also an 800 square meter MINI display, where visitors can experience all of MINIs models and there’s even a separate section for John Cooper Works models. There’s also a “MINI Thrill Bench” that supposedly has a mind of its own and gives visitors the “special MINI twinkle in the eye” as soon as they sit down. Rolls Royce is also on display at the BMW Welt. The Rolls Royce experience is rather small and withdrawn, intentionally, with an understated and high-end feel that Rolls Royce is known for. On display, in the rather small room, are two Rolls Royce models that visitors are allowed to sit in and experience the opulence that comes with the famous British luxury brand. BMW also has its Motorrad division on display and visitors can get up close to all of the BMW motorcylces at the BMW Motorrad Experience. BMW also knows that there is a very tight-knit community among bikers, so there is a Biker Lounge inside the Welt for people to talk cars, motorcycles and just hang out in a really relaxing and inviting environment. So the BMW Welt is a total experience, one that almost seems so vast that it demands multiple visits. But the Welt offers so much for visitors to see, aside from just people picking up their cars, that most visitors do want to return multiple times. Anyone can go and it’s worth doing for nearly anybody visiting Bavaria, but it’s mandatory for car enthusiasts, especially BMW fans, as it’s a one-of-a-kind experience for anyone who loves cars.